Stay cool under pressure. When you work hard, you need hardworking gear. Meet the stainless king vacuum insulated beverage bottle. This non nonsense workhorse gets the job done with durable stainless steel, double wall vacuum insulation and a simple twist and pour stopper. 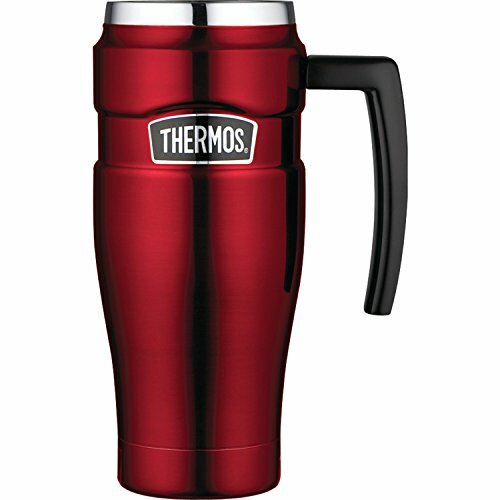 Thermos Stainless Steel King Product features include: Easy open - an easy to use twist and pour stopper lets you pour your dink without removing the stopper. 100% Stainless Steel -durable from the serving cup to the base. And better temperature regulation too. Hotter, colder, longer - we just want to keep hot liquids hot and cold ones cold and with TherMax double wall vacuum insulation, you've got just that. No burn, no sweat exterior - cool technology keeps the Stainless King bottle cool to the touch with hot liquids and sweat-free with ice cold.